Are you looking for a free PDF Converter to publish your e-books? Though you may choose to write your e-book in any of your favorite word processing program, the best and the most widely used format for publishing the e-book, is the PDF format. To save your e-book as a PDF,You will need to install a program that will allow you to convert your files as PDFs and these programs are called PDF Converters. Find below a list of some Free PDF Converters.We have already written about most of these PDF converters and here we compile them as a list. If you happen to use the Microsoft Office 2007’s Docx format to write your e-book, then you can try this free Docx to PDF Converter called Bullzip PDF Printer.This is a free PDF creator to Create PDF files from any Microsoft Windows operating system including windows 7, Windows Vista and Windows XP and even supports 64-bit operating system. Bullzip PDF Printer is a virtual driver for Windows that allows you to create your PDF document using any application you like, be it a word processor, spreadsheet or PowerPoint like application, and print to the driver using that application. The printer driver, which is not really attached to any physical printer, will convert your output into a PDF file, and lets you to save it on your PC or any other storage media. It is free only for personal and commercial use of up to 10 users. Some PDF to word Converter is another handy tools to convert PDF files to RTF (Rich text format). Some PDF to Word Converter helps you to convert PDF to Word documents, so you can edit and reuse your PDF content. Using Some PDF to Word Converter you can preserve the original layout, text, images, vector drawings of your PDF file. It works on Windows 7, windows vista, XP and windows 2000. If you are looking to Convert PDF To Word, then you can try the Free PDF Word Converter, which is a program to convert PDF to Doc format and works without the need of having Adobe Acrobat Reader or Microsoft Word installed on your PC. With Ease PDF to text extractor, you can Convert PDF to Text, three simple steps. It works on Windows 7, windows vista, Windows XP, Windows 2000 and is also small in size. PDFCreator is an application for converting documents into Portable Document Format (PDF) format on Microsoft Windows operating systems. Once installed, it allows the user to select PDFCreator as their printer, permitting almost any application to print to PDF.This application can be useful on Office 2003 or any earlier versions Office, where there is no built in Word To PDF conversion support like in Office 2007 SP2. Besides being installed as a printer driver, PDFCreator can be associated with .ps files to manually convert PostScript to PDF format. It can also convert to PNG, JPEG, BMP, PCX, TIFF, PS, EPS, TXT, PSD, PCL, RAW formats. PDFCreator allows the user to disable printing, copying of text or images and modifying the original document. The user can also choose between two types of passwords, user and owner, to restrict PDF files in several ways. The former is required to open the PDF file, while the latter is necessary in order to change permissions and password. Encryption can be either 40 bits, compatible with Adobe Acrobat 3.0 or 4.0, or 128 bits for Acrobat 5.0 or higher. Ghostscript is a suite of software based on an interpreter for Adobe Systems’ PostScript and Portable Document Format (PDF) page description languages.It takes its PostScript input and sends it to an output device, which may be a printer, display, or a PDF file. 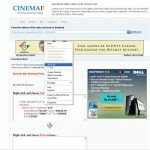 It is also able to convert PDF files to PostScript. 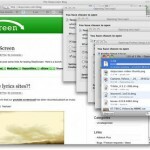 Ghostscript can be used as a raster image processor (RIP) for raster computer printers — for instance, as an input filter of line printer daemon — or as the RIP engine behind PostScript and PDF viewers.Ghostscript can also be used as a file format converter, such as PostScript to PDF converter. This is often combined with a PostScript printer driver in “virtual printer” PDF creators.As it takes the form of a language interpreter, Ghostscript can also be used as a general purpose programming environment. Ghostscript has been ported to many operating systems, including Unix, Linux, Mac OS, Microsoft Windows, etc. Hope you like the above list of Free PDF converters. We will update this list as we discover more such Free PDF Converters. .